FMCBC Feb e-news: Right to Roam, updated Singing Pass proposal, and more! 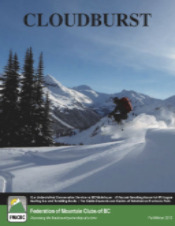 Although extinguished when the May 2017 election was called, the proposed legislation fit with the long-held concerns of the Federation—mainly the public’s ability to access land for backcountry recreation. We believe it would be valuable for everyone to understand the public rights and provincial obligations as they relate to access to, and over, public and private lands. Therefore, as an apolitical body, the Federation will collaborate with all political parties in BC to address this. Read more about Right to Roam on our website. Last fall, we shared a parking proposal aimed at restoring access to the Singing Pass Trail. The feedback and responses were wonderful and greatly appreciated, and now we're sharing an updated version of that proposal for you to check out. As always, please let us know what you think, and we welcome any show of support that will help this proposal—and this issue—gain momentum, including writing to the Minister of Environment, the Honourable George Heyman. Ever wondered what it’s like to be a volunteer hut custodian for the ACC? We recently had a chat with Nicole Larson, the Alpine Club of Canada's Custodian Coordinator. 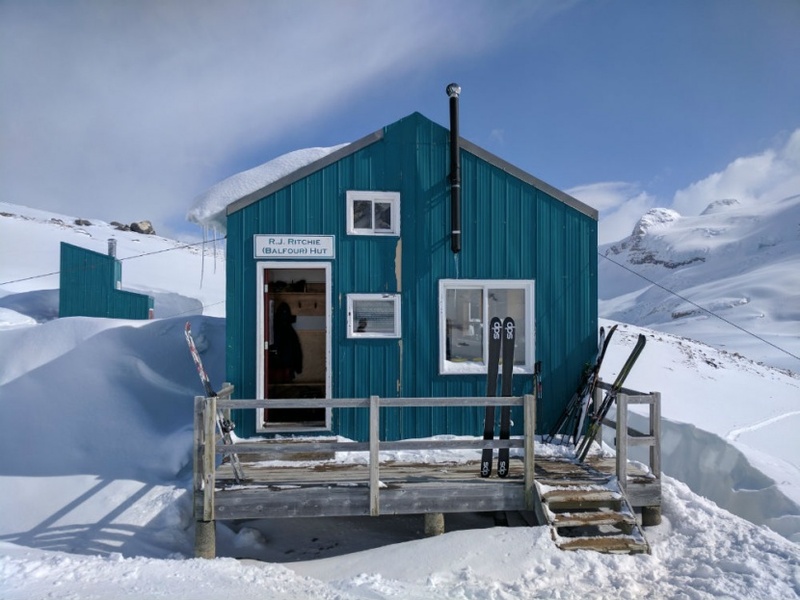 She filled us in on what it takes to keep 26 backcountry huts in top shape, and shared some handy tips on how visitors can enhance the hut experience and keep costs down. Read all about it on our blog. We’re on the hunt for some fresh images to add to our photo collection. These are the snapshots we use to accompany a range of things, such as our blog posts, social media posts, e-news, reports, and more. 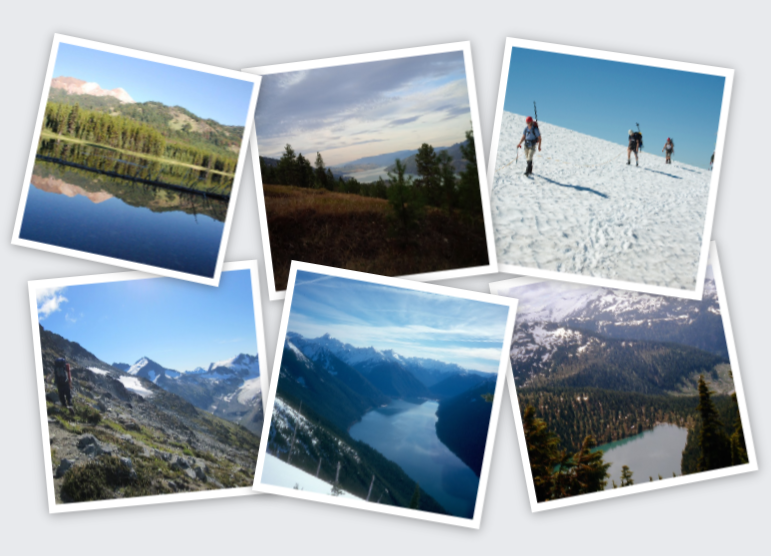 So, if you have photos of specific activities (hiking, skiing, etc) or of backcountry locations around BC, we'd love it if you'd share them with us! Please send your images to stacey.santos@mountainclubs.org and include: the location where the photo was taken, and whether or not you would like us to give you credit when we use the photo. Is your club in compliance with the New Societies Act? Just a friendly reminder that societies incorporated in BC prior to November 28th, 2016 have two years (until November 28th, 2018) to transition to the New Societies Act. This means your society must re-file, in electronic format, its current constitution and bylaws with the Corporate Registry. You may also need to make a few changes to your constitution and bylaws. Transitioning is free, and is done by setting up the required accounts to use Societies Online and completing a transition application, which is free of charge. Here’s everything you need to know. Be sure to check out the latest research bulletin that highlights work completed at the Ancient Forest for the 2017 hiking season, including information about estimated trail visits, a new monitoring program for off-trail impacts, the ongoing biodiversity assessment, and more. The deadline is approaching to nominate a BC river for the Endangered Rivers list. Created by the Outdoor Recreation Council of BC (ORC), the list increases awareness about the various threats that confront our waterways, while helping to profile important river issues. To nominate a river, please complete the online Endangered Rivers Survey by Monday, March 12, 2018, by 4:00 PM. ORC is currently preparing a funding and grant list suitable for outdoor recreation groups, trail builders and managers, and environment groups in British Columbia. The project was initiated by the Provincial Trails Advisory Body, and is a work in progress that will be updated and improved over time, and eventually posted on ORC’s website. Here's a draft of the list so far. If you know of any additional funding/grant sources, please let ORC know. The BC government released its 2018 Budget on February 20th. 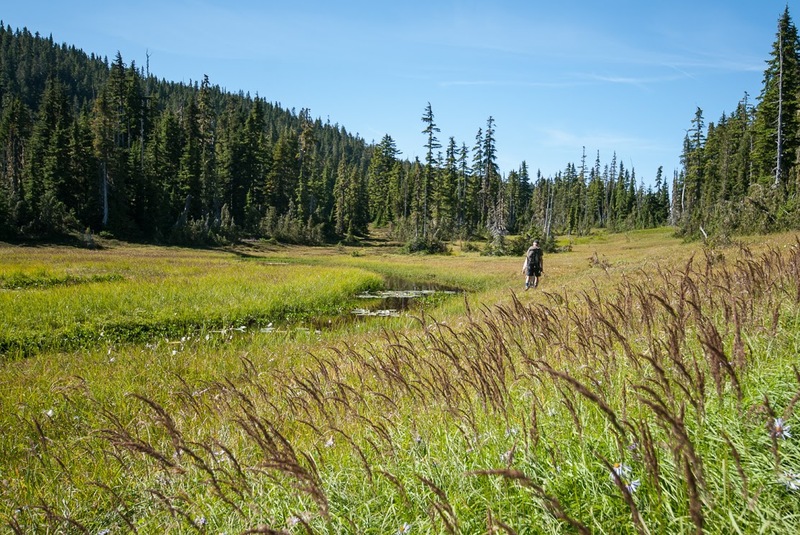 For BC’s parks, the budget includes expanding BC Parks campsites with $5 million over three years, and $9 million to cover operating pressure for conservation officer services. Read the Budget highlights here. The deadline for the Wild Postcard Project is quickly approaching! Artwork entries for the 2018 BC competition must be postmarked March 1st at the latest. Have you heard about the Federal/Provincial Government’s Carrot Rewards app? Earn points for the steps you take each day, including Scene, Aeroplan, More Rewards, and Petro Points. In other words, hiking = free stuff (and a healthier and happier you, of course!). The ACC Vancouver Island section is hosting a slideshow on March 8th. In “Ethiopia Treasures & Challenges,” Tamara Plush will take you on a trip to Ethiopia – from Lalibela’s monolithic rock-cut churches to the Simien Mountains National Park to the outer reaches of the country in the Somali Region and Borana Zone. Slideshow starts at 7:30 pm at the Swan Lake Nature House in Victoria. Everyone welcome, including non-members. The Strathcona Wilderness Institute is hosting a “A Year on Ice,” a presentation by Graema and Lynda Magor, who, along with their 2½ year old daughter and two other couples, spent a year aboard a ketch frozen in the ice on southern Ellesmere Island. The presentation is on March 2nd at 6:30 pm at the Stan Hagen Theater in Courtenay. Thanks to Ed Hunter of the Kamloops Hiking Club for this month’s feature photo. It was taken in late January 2018 during a KHC trip that he and his wife Lois led. It was the second annual snowshoe trip into the Kinney Lake shelter and it’s expected to be an annual event because of the spectacular scenery.